I spent some time yesterday with the D5 in the field and I have to say I really like this camera. Landscapes can only say so much about the capabilities of this camera. Since one of the big factors with the D5 is speed and better autofocus, moving subjects are really where it’s going to shine. 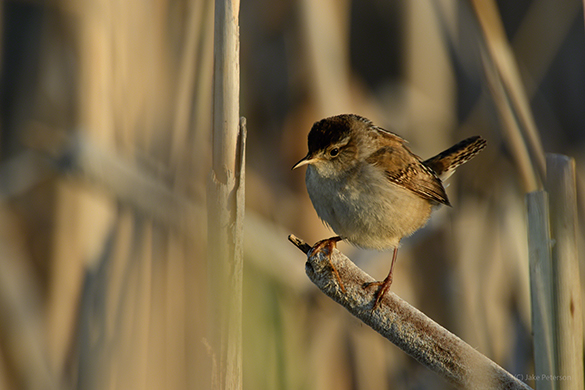 Just my luck while I was down at the ponds working the marsh birds, this Marsh Wren showed up and was very cooperative. I love Wren’s, I always have. I don’t know why but they are just cool little birds that you always see zipping around but are often hard to track as they go into that low brush and are smaller then a tennis ball. 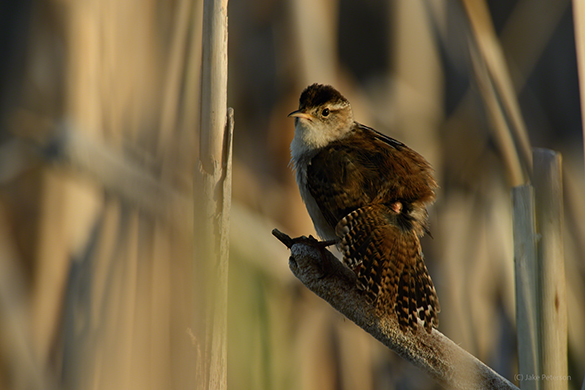 This little bird was no different as it was going up and down in the reeds. But if you listen and watch long enough you’ll find a pattern. He would go down, start calling and then fly up above the brush line into eye sight. He did this repeatedly making it easier to track and with the D5’s 153 focus points it was WAY easier to keep track of him even with the 600 f/4 and 1.7 Teleconverter. Now I lucked out with this particular bird being so cooperative and just to prove how much he liked the camera he decided it was time for a bath. He even choose a great unobstructed perch to bath on. Now I said how much I liked the feel and sound of the D5 but after ripping the shutter keeping up with this little guy, I like it even more.